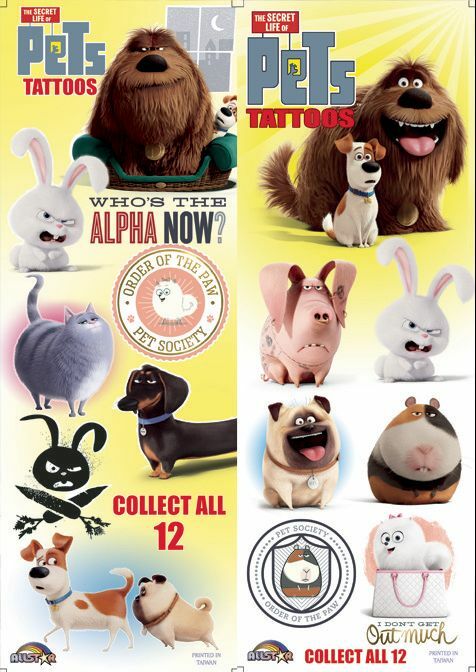 Featuring our favourite puppy friends from the hit movie Secret Life Of Pets. FREE Display Card We'll include the 2-sided display card pictured above for FREE to go inside your tattoo vending machine to help you maximize sales! Fill your tattoo vending machines with these great tattoos that kids love! Vending Tattoos and Flat Vend items are very popular and appeal to a wider audience than many other vending products. A Vending Tattoo puts a smile on any kid's face, and puts money in your machine!